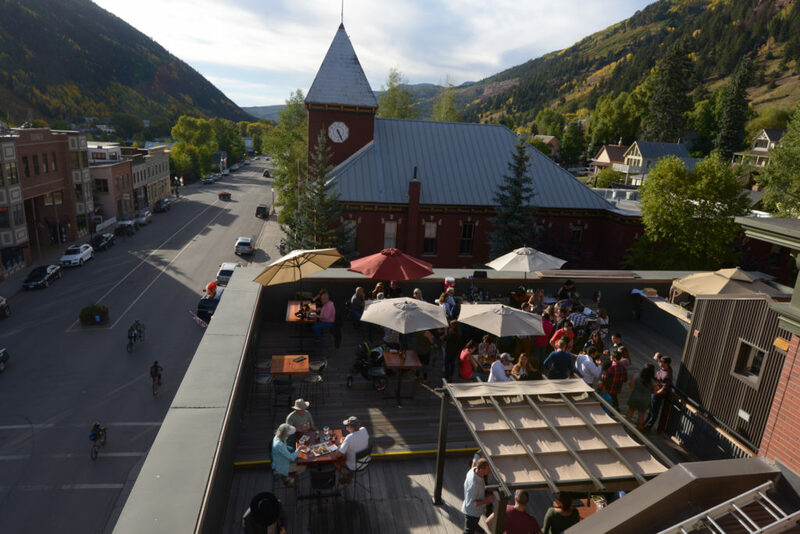 Sadly, the Roof is closed for the winter season – a little chilly at night. 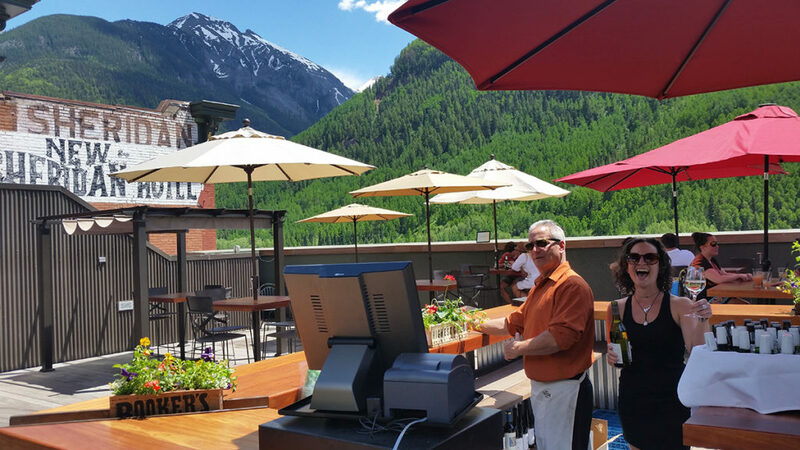 Market umbrellas on our roof, a bartender standing by to mix, chef at the ready, mountains watching over – this is The Roof. 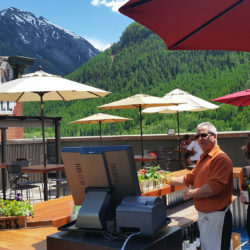 Not just for hotel guests. 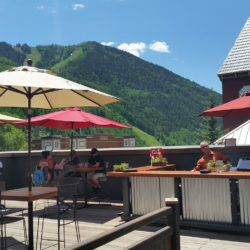 Not just for restaurant guests. 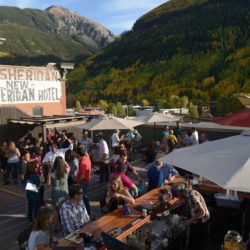 The Roof at the New Sheridan Hotel is the only opportunity that our local residents and guests have to be in the heart of town and yet “up” in the mountains that make up our box canyon. 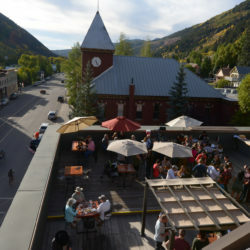 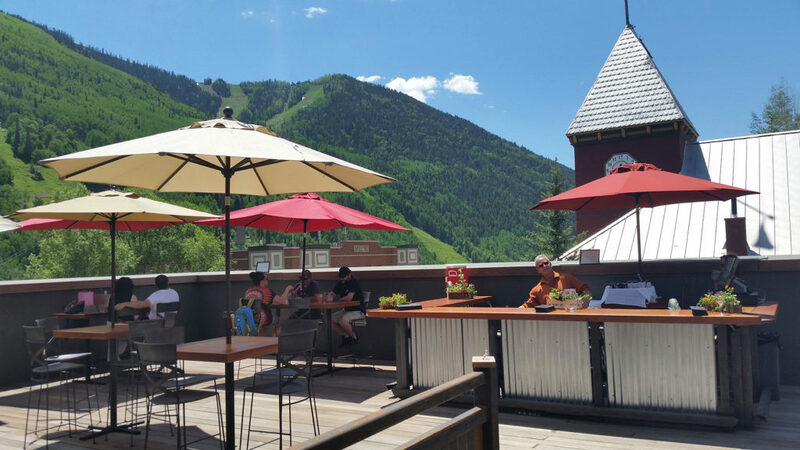 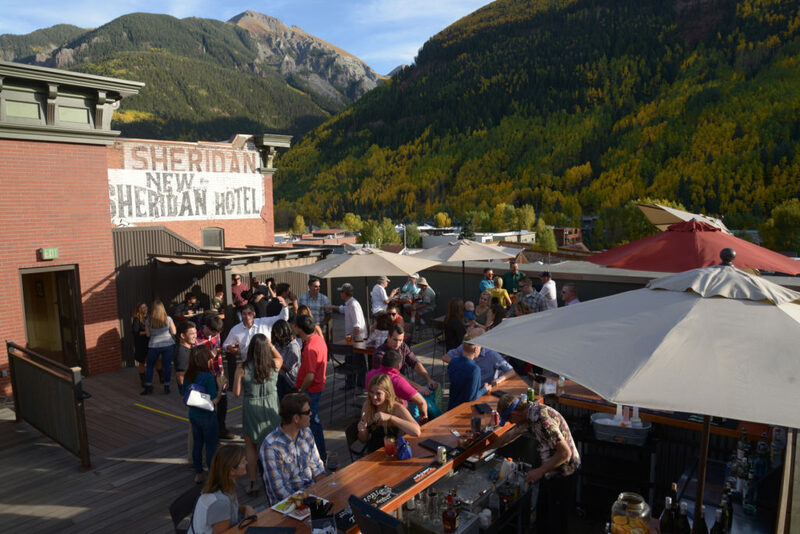 Telluride roof top bars are that rare – ours is the only one.